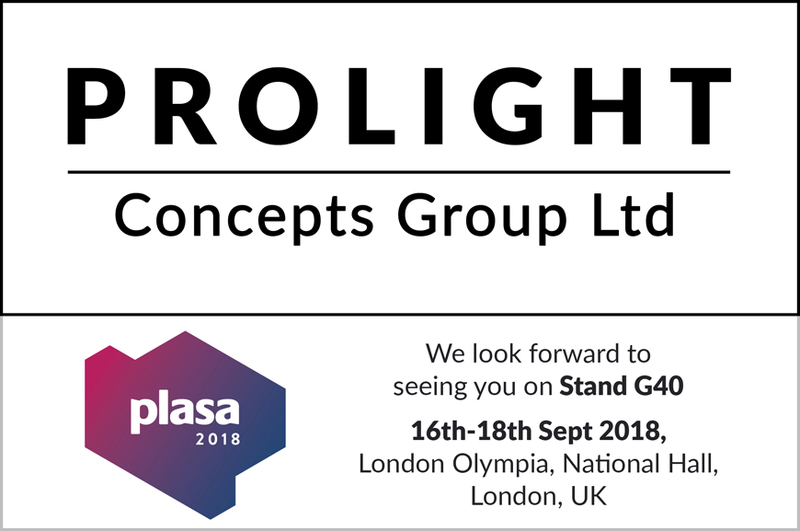 Revamped Prolight @ Plasa 2018! 2018 is shaping up to be Prolight Concepts Groups biggest yet! Not only have we moved to our new warehouse and office complex, we have also been super busy expanding our product range. In line with our move and the bright future ahead, we have recently given our logo a revamp, opting for a sleeker more commercial look and feel. This further cements the direction the business is heading in, and offers a true umbrella structure of product brands. Speaking of brands, this years Plasa will heavily feature eLumen8, LEDJ and Global Truss, with the launch of many new products, of which include: New dynamic backlit blinders and Kudos moving heads, plus the rental-ready IP65 Endura pars and Evora series all from eLumen8. LEDJ will feature a pixel version of the Spectra Flood Q40 and an addition to the new CZ Stage Pars with an RGBA version, along with our ever-expanding Global Truss staging systems. With our knowledgeable team, efficient service, marketing presence, and unique, innovative products, it’s no surprise more and more people are becoming part of the Concept.